I would like to say from the start, “Don’t send your family to a Bible believing Spirit Filled Church only”. The head of any household is the guiding factor for that household’s daily and lifelong outcomes. If the head directs the body, but doesn’t follow suit with its directions, then the direction loses its meaning. A parent can’t say to their spouse and family, don’t steal, and then turn around and rob a convenience store. That is hypocrisy, but it is the same scenario and same outcome when people send their families to an Apostolic Pentecostal Church near them, but do not follow suit. 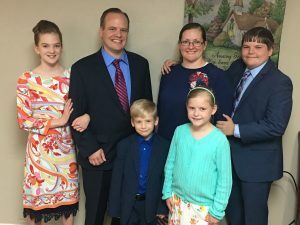 If you truly believe that a Holy Spirit Filled Church San Antonio TX is where your family needs to be, then why is it not also the place that you need to be? God wants to have a personal relationship with everyone. That is true regardless of age, race, background, or beliefs. No matter who you are, you are one of God’s children. He wants us to get to know Him as intimately as He knows us. If you believe that your children and family should foster that relationship, then why wouldn’t you also seek to foster your own relationship. God is not someone that can only relate and be understood by certain age groups, but He can be known, and known well, by all. A local Full Gospel Pentecostal Church is the perfect place for you and your family to grow closer to Him together. Let’s look at a few of the benefits of attending Pentecostal Church as a family, instead of doing it piecemeal. First, the entire family is given the opportunity to learn the same lessons from the Bible at the same pace. This includes hearing the same sermons and Sunday School lessons, but often hearing them as geared towards their own age and level of understanding. This allows parents and children to grow at a similar pace and to assist each other in that growth. When parents and children encounter questions and challenging aspects of the Sunday School lesson that they do not understand, they can turn to the understanding of each other to find the wisdom they are searching for. If you send your family to Church only, but don’t also attend with them, then you are robbing them of the potential to turn to you for help and answers. This in turn helps to foster relationships within your own family. As you continue to grow together, you are also spending valuable time getting to know one another deeper. You can see into each other’s lives and help address the struggles that your family deals with, each in their own way. Your children will see this wisdom that God transmits through you and it will build trust. As they grow older and come across larger challenges, they will remember the wisdom that they gained from attending Holy Spirit Church San Antonio and engaging in conversation with you. This will prove instrumental in the role of a parent as their child’s guide and advisor. As they come to you for advice, you can continue to build off of the things you learned together in an Apostolic Church setting. You can continue to seek His word on a deeper, more meaningful, and more personal level. The applications of what we learn in the Bible and in the walls of a Christian Church are endless, applying to every challenge at every stage of every person’s life. Do your family a favor, engage in those lessons with them, foster the knowledge with them, and impart God’s wisdom into them. 16 So then because thou art lukewarm, and neither cold nor hot, I will spit thee out of my mouth. If you don’t attend Bible believing Holy Spirit Filled Church with your family, you are sending them in an opposing direction from your own personal path. You are sending them in a positive direction of growth, while staying stagnant and lukewarm in your own journey. You cannot expect your family to go on the journey of faith while refusing to take it with them. The “do as I say, not as I do” attitude does not assist your family, it hinders and divides it. Don’t be a conduit of that division but be the factor that prevents division. Encourage your family as they each take on their individual Christian journeys. Let yourself be encouraged by the strength and support of your family. The journey was never meant to be taken alone. Don’t force your family to do it in division, and don’t allow yourself to stay stagnant. Don’t just send your family to United Pentecostal Church San Antonio TX, come with them. Learn together. Listen to the wisdom of God together. Take the time to be enriched by the sermons that He has directed others to deliver. Don’t take the journey alone, but in unison. Jesus wants to have a relationship with you, and Jesus wants to have a relationship with your family. Take this journey together, support each other, and help each other grow. If you are asking where is a Pentecostal Church near me? Pentecostal Life Church is a Pentecostal Church near me. 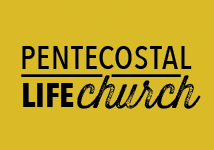 Pentecostal Life Church is a United Pentecostal Church ( UPCI) located in Schertz Texas, which is a suburb of San Antonio. Schertz Texas is part of the San Antonio Metrocom and directly connects to a number of other San Antonio suburbs some are: Cibolo Texas, Selma Texas, Universal City Texas, New Braunfels Texas, Garden Ridge Texas, Converse Texas. Pentecostal Life Church also blesses Live Oak Texas. To suggest that these are the only San Antonio towns Pentecostal Life Church services would be untrue. Pentecostal Life Church has members that drive approximately one hour one way twice a week because they believe Pentecostal Life Church is the will of God for their lives. Schertz is Also claimed by 3 Texas counties. They are Comal County TX, Bexar County TX, & Guadalupe County TX. Pentecostal Life Church invites you and your family to come be connected to our Church family and let’s grow in Jesus together. Pentecostal Life Church meets at 1201 Oak Street, Schertz, TX, 78154.